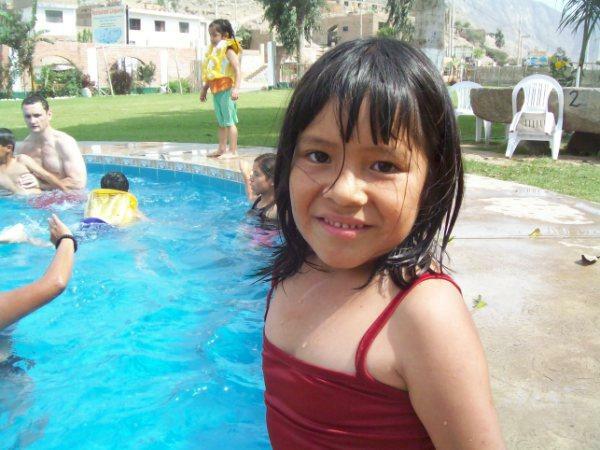 As well as the ongoing dance, drama and English lessons, sonrisasenperu.org is providing swimming lessons for the children of Westfalia Orphanage. 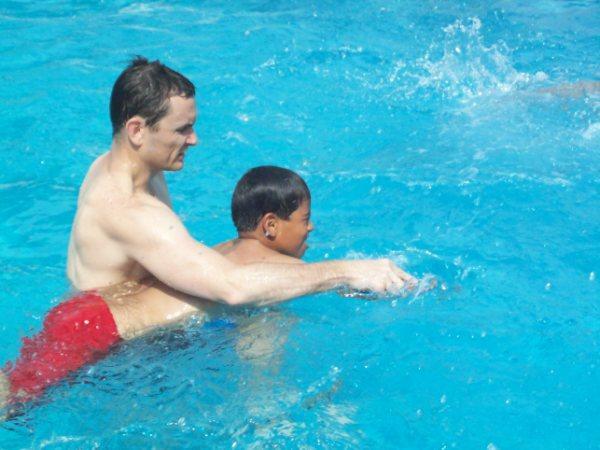 Twice a week we take the children to the local swimming pool and provide learn-to-swim classes as well as basic water safety. 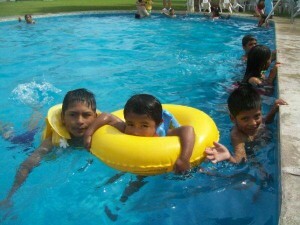 As well as building the kids’ confidence in and out of the water it allows a fun break from the 24/7 life at the orphanage. Providing these ongoing classes incur costs such as payment for the dance and drama teachers as well as their transport costs to remote Cieneguilla, English textbooks and materials, pool entrance fees, purchase of floats for the smaller children, etc. You can help by clicking the donate button. Or read more about Westfalia Orphanage. 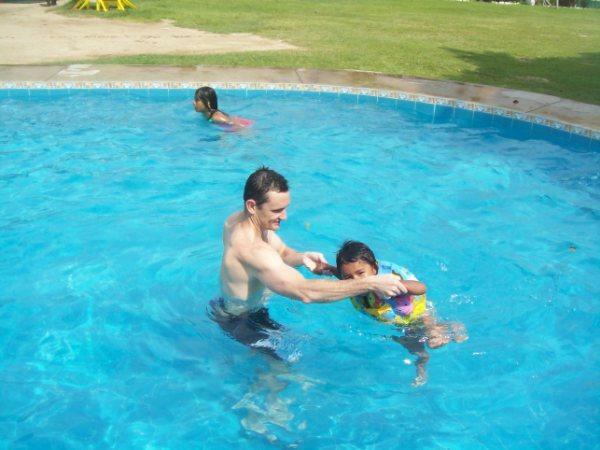 …looks like a lot of fun, but I don’t know who actually learns to swim – you or the kids?! sorry haven’t sent the pens yet, but will do soon – still to the address in Lima? beautifull, this is something that made really made me smile. my name is Ben Douglas and i am from Australia. 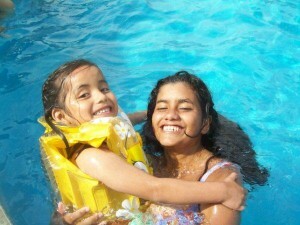 I have also created a website for people to learn how to teach children to swim through videos and instructions. i am travelling to peru in december for 1 month, and would volunteer some time to help out your instructors, and show some of the techniques we use. your instructors could even use the website as a resource. Thank you for your comments. I checked out your website and think its great! We will definately make use of http://www.uswim.com Great work! 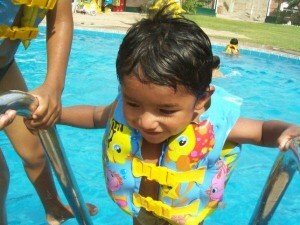 We would definitely love to bring you out for some of the swim classes. Please send me an email of your dates here and if you need any help finding accomodation or other information maybe I can help.